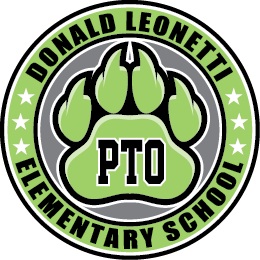 ALL Leonetti PTO Volunteers: VIPS- Volunteer to Help Teachers with Laminating, Cutting, DieCut Machine, and more! VIPS- Volunteer to Help Teachers with Laminating, Cutting, DieCut Machine, and more! We are organizing adult volunteers to help the teachers at Leonetti with tasks like laminating, copying, cutting, bulletin boards, and more! In order to use the laminating machine, an adult volunteer MUST be trained by Meredith Canny in the front office. Children: Children are not allowed in the front office at any time- they can be in the conference room or VIPS workroom under your supervision. If you are picking up materials to work on (with your children in tow), please ask at the front for them to grab the items for you. Volunteers will sign-in in the front office and then go to the teacher workroom (copy room) to see what is needed to be done on the counter. Please take all materials to the VIPS Room and Conference Room to complete the work. Please return all work to the teachers box or back to the counter in the copy room when completed. Projects that have been laminated, but not cut out and can be taken home to complete within 24 hrs, are in the black bin in the conference room. Thank you for helping as you can!